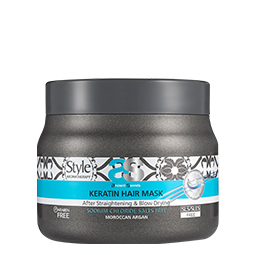 Innovative treatment Shampoo, based on pure Keratin and patent technology KeravisTM, formulated, specially, to treat after Hair Straightening and daily blow drying or ironing. 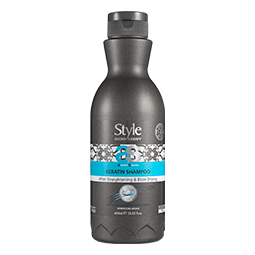 This combination of plant origin protein increase the hair strength and avoid it from become fragile and brittle, while leaving it with amazing shine, softness and natural feeling. The delicate unique formula is free from Sodium Chloride salt and enriched with Argan Oil and Borage Seed Oil. This enables your hair and scalp to benefit from NAATM (Natural Anti –Aging) technology. It rebalances the scalp while minimizing dryness, oiliness and dandruff. Directions: Apply generous amount of shampoo to wet hair and work into lather. Rinse well. Repeat if necessary. Suitable for daily use.